This video demonstrates the day and night vision capability of the DPRO-B24DHR using two sample surveillance video clips. 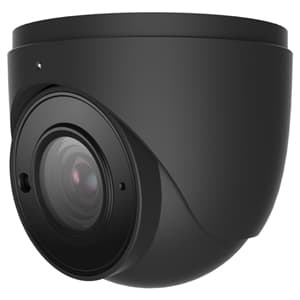 The DPRO-B24DHR is a turret style Infrared Dome Camera for CCTV Security applications. This video will demonstrate this camera's day and night video capability via 2 sample surveillance clips. The first clip was captured in an office setting with all of the lights turned on. The room is 20 feet long and the man approaches the camera and stops 7 feet in front of it where it is mounted. The camera is ceiling mounted 8 feet high. The next video clip was captured with all of the lights turned off in the office to create a zero light environment. The camera automatically turns on it's infrared LEDs when the light goes below a certain level. As you can see, the camera easily illuminates the entire 16 by 20 room using it's infrareds. Here is the daytime clip one more time and the nighttime IR mode once again. The DPRO-B24DHR features a turret style camera mount which allows the installer to mount the camera to a ceiling or a wall. This camera sports 600 TV lines of resolution and is able to illuminate distances up to 50 feet using the 23 built in IR LEDs. For more information and to purchase the DPRO-B24DHR, please visit www.cctvcamerapros.com/B24DHR. Click here to learn more about the DPRO-B24DHR Infrared CCD Camera used in this video.